India has many rich practices still continuing for ages. One such practice is walking. Walking is a great exercise as it helps in body fitness. Walking improves concentration, health (it is one of the best exercises for fitness) and enables a move towards sustainable development (there is no use of fossil fuel for transport). 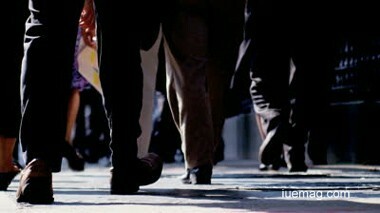 Walking also enable people to communicate with fellow persons better. Walking also creates team spirit and an attitude to collaborate and work together. I am not talking about walking just for keeping fit. I am talking about walking to travel from one place to another. The automobile industry might have progressed tremendously to decimate cycling and walking as the means of travel, still walking continues to be a very popular means of travel. On the occasion of religious festivals and fairs, people travel hundreds of kilometers by walking. The predominant reason may be religion but the spirit continues. For example, Jain saints still travel only through walking and cover about 15-20 kilometer every day. Similarly there are many important temples, where people go by walking, for example, whenever there is Ramdev Fair (Lord Ramdev is a very popular God in Rajasthan), thousands of devotees travel hundreds of kilometers to reach Ramdevra (Jaisalmer). However, in the recent past, the number of accidents on roads is increasing. This increase is due to increasing number of automobiles on the road and also due to rash driving. Is the government thinking about these people? Probably, no! The ordinary people come forward to extend all possible help to these people, but that help cannot prevent accidents or calamities on roads. I wish you to join me in requesting governments to prepare some action plan for providing roads exclusively for pedestrians. Due to commercial reasons, the government construct outstanding highways and expressways, which also generate lot of revenues through toll tax. However, the most important person – the citizen of the country are often neglected. In earlier times, the roads were prepared keeping in mind the pedestrians. Hence, both sides of the roads would have trees to provide shade to the pedestrians. There would also be some places on road where pedestrians could take rest. If along with all important roads and highways, some small lanes are prepared for pedestrians and some support systems are prepared, it will save thousands of lives every year and will also encourage people to walk. It will again make walking popular among common people. This will also help people in getting closer to the nature and lead an environment friendly life. If the common people start raining a demand for a lane for pedestrians on all important roads, this will help a great deal in helping the pedestrians. Let us join together to raise a voice for pedestrians.